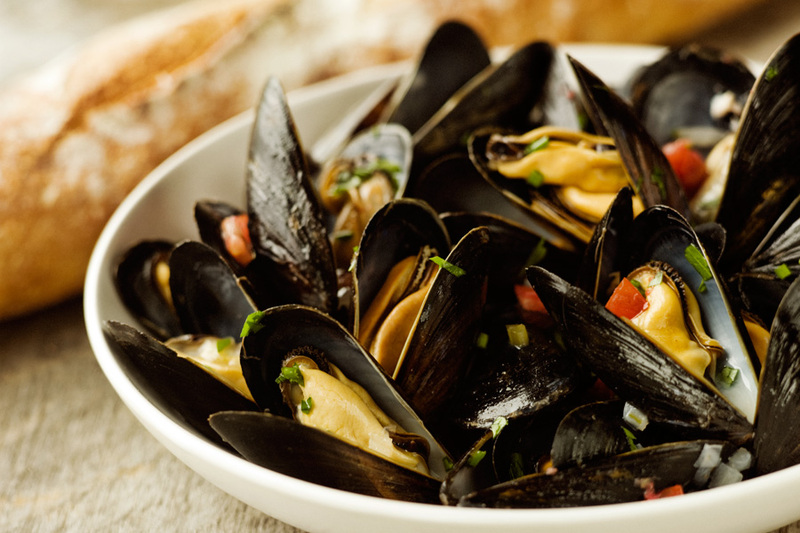 Mussels (Mytilus edulis), cultured in the cool clean waters surrounding Prince Edward Island, are one of North America’s most popular seafoods. 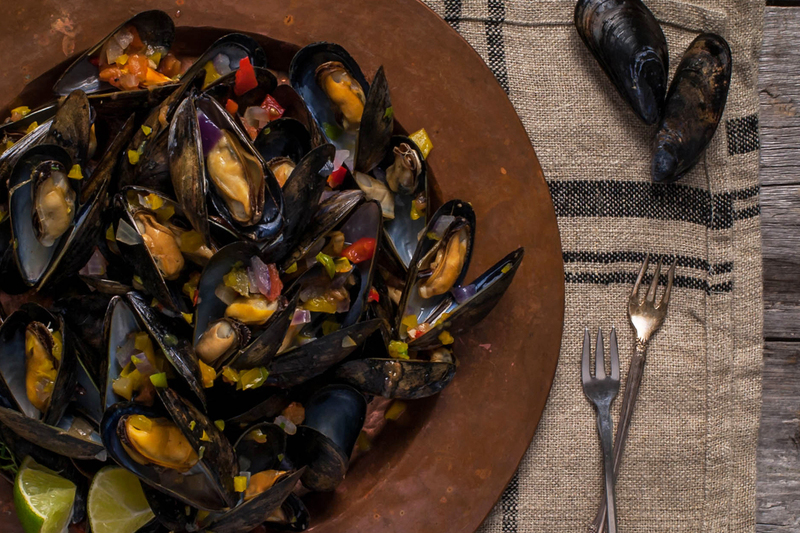 As well as being tasty, Prince Edward Island mussels are nutritious. They are particularly rich in protein and minerals while being low in fat and cholesterol. Cultured mussels are grown in mesh stockings that are suspended from longlines (ropes) in the water. The ideal conditions promote rapid growth, cultured mussels taste sweeter, are more tender, are plumper, and as a result have a higher meat yield than their wild counterpart. Mussels are bivalve shellfish. At harvest they are generally two to three inches in length. The shell is primarily a blackish colour with bluish highlights and has an elongated triangular shape. After harvest, Prince Edward Island mussels are either packaged fresh or fully cooked and frozen in the shell. 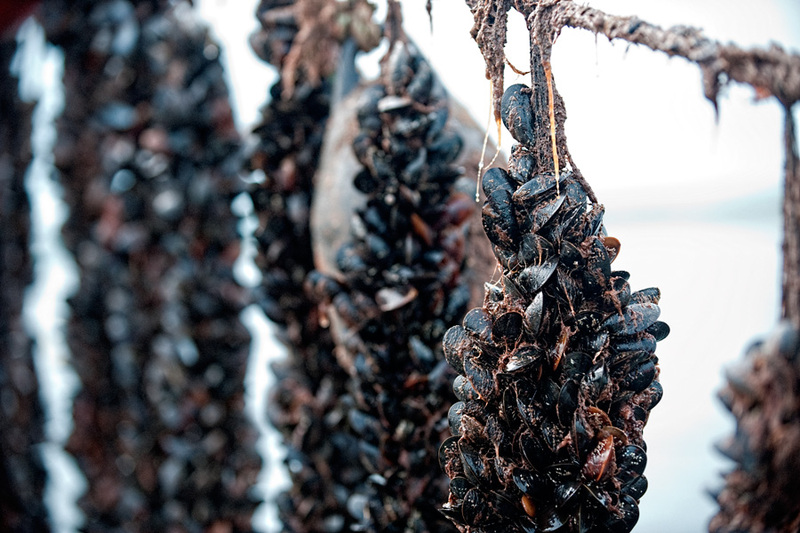 Rope cultured mussels are harvested in all seasons, and are available all year round. Island mussel farmers lead the way producing approximately 80% of Canadian mussel production. The Prince Edward Island mussel industry is a shining example of how nutritious and delicious food can be produced and harvested in a sustainable way.